Membership for the coming year is now open. Membership is available on an individual, associate, corporate or institutional basis. The ESAI welcomes new members. Joining is simple – please follow the steps below. 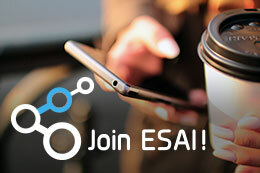 You can now join ESAI or renew your membership using our secure online credit card payment system. Choose the membership option you require from the list below, and click the appropriate Buy Now button, which will take you to the Paypal site. Secure payments can be made using a credit card or an existing PayPal account (if you have one). If you are already a member, and have any queries about your membership, you can contact Drumcondra Education Centre on (01) 8576400 . Alternatively, you can email us with your query at esaimembership@gmail.com. Please Note: ESAI membership is for a calendar year. Individuals and organisations who return membership forms prior to June 30th 2019 will be registered for 2019. Any forms received after June 30th will not be processed until the following December, and membership will not begin until January 2020. 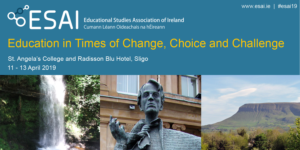 Individual members will receive their first edition of IES in July 2019, and editions for the subsequent year. Online access to the journal is not currently available to individual members, but is provided to corporate and institutional members of the ESAI.